Rules of the road are already, and best, defined for bicyclists in state law; the Arizona Revised Statutes (ARS). Bicyclists riding in the road have the rights and duties (R&D) of the driver of a vehicle (§28-812), as well a few specific duties; the most remarkable probably being that they have a special duty to facilitate passing of faster traffic, but only under specific conditions, and only when safe… the so-called as-far-right-as-practicable (AFRAP, sometimes referred to as far-to-the-right, FTR, rule) law, 28-815. The sidewalk (and off-road paths), however, have a different story — ARS’s rules-of-the-road don’t say anything about how bicyclists should or can ride there. There is a 1980 AZ Supreme Court decision, Maxwell that more-or-less grants bicyclists the R&D of pedestrians when on sidewalks, including continuing along through driveways and crosswalks. This decision is still “good law”, in other words, the AZ legislature has failed to make any rules regarding bicyclists’ use of sidewalks. As a result, localities can — and probably should — define rules of movement for bicyclists on sidewalks (or perhaps even ban them?) and paths. Tempe does have existing rules, Chapter 7 Bicycles. Including the novel (I mean novel relative to other Arizona municipalities) rule that bicyclists on sidewalks must go only in the direction of adjacent traffic. (a) A person propelling a bicycle upon and along a sidewalk, or across a roadway upon and along a crosswalk, shall yield the right of way to any pedestrian and shall give audible signal before overtaking and passing such pedestrian. (b) A person shall not ride a bicycle upon and along a sidewalk, or across a roadway upon and along a crosswalk, where such use of bicycles is prohibited by official traffic—control devices. (c) A person propelling a vehicle by human power upon and along a sidewalk, or across a roadway upon and along a crosswalk, shall have all the rights and duties applicable to a pedestrian under the same circumstances. A major consolidated proposal was put forth in April of 2019. For reference; I preserved a copy because I have problems with these links going dead. Anyway opentownhall.com/portals/99/Issue_7376 page was set up for public input/dissemination. It’s extremely difficult to follow the markup because large chunks of Chapter 7 were moved wholesale into Chapter 19; this makes even pre-existing code appear as new (shows up as ALL CAPS in the mark-up) even though it’s not actually new. But, conversely, some pieces of Chapter 7 were simply deleted, though there’s no way to tell from the markup what parts were deleted. In sum, existing Chapter 7 Bicycles (and Ebikes) was entirely eliminated and combined with Chapter 19, which covered motor vehicles and Pedestrians. The category of “motorized play vehicle” was eliminated. New categories of Human Powered Vehicles and Non-Human Powered Vehicles (I refer to as HPV, despite that being a virus, and NHPV) were defined. The idea being Human powered referring to exclusively human powered, and everything else is Non Human Powered. 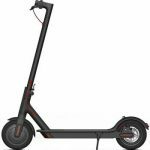 It’s also possible that AZ state legislature will pass an escooter law this session (2019); (I mean it seems likely to me, it’s passed both committe hearings and one of chambers already). How does this bill “play” with the proposal? 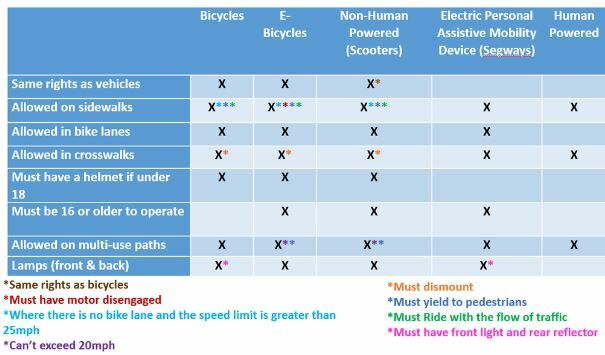 Likewise; does the proposal “play” nice with last year’s AZ state ebike law? The chart says that the law allows Bicyclists/ebikes/NHPVs to use crosswalks but there’s an asterisk that says dismounting is required. I’m not seeing that. Someone suggested it’s already in the law– I’ve never seen it. Saying/claiming dismounting is required appears to be some novel (mis)interpretation of codes or statute. Here is a general article covering how, at the AZ state level, sidewalk riding is addressed; in particular an understanding of Maxwell is important; in particular, sidewalk bicycle riders do not all of a sudden become drivers of vehicle upon entering a crosswalk. That same article also links an analysis by the Tucson City Attorney’s office concluding that it’s not illegal for a bicyclist to ride through a crosswalk — even though it’s (generally) illegal to ride on the sidewalk in Tucson. Setting that aside — I would oppose a requirement to dismount for reasons I may elaborate on later. I don’t like that Tempe has what I’ve referred to in my LAB Bike Friendly Community feedback as a “sidewalk riding culture“, but I don’t think making a dismount requirement is a good way to address it. 7-5-5. – USE OF CROSSWALK. (a) No person shall immediately approach, enter, or traverse a crosswalk which spans a roadway at a speed greater than eight miles per hour. (b) Persons driving bicycles across a roadway upon and along a crosswalk from a sidewalk or path… shall have the duties applicable to pedestrians under the same circumstances. (c) Such persons similarly have the rights of a pedestrian, but only if the bicyclist was entitled to use the sidewalk or path, and the approach, entry, and traversal of the crosswalk are made at a speed no greater than a reasonable crossing speed so that other drivers may anticipate the necessity to yield when required. Interestingly apparently section a is intended to (also) apply to pedestrians (e.g. runners). For one possible way to address the issue see Issue #0, immediately above and what was done by City of Boulder. Read at face value, this section appears to ban bicyclists from riding in the roadway. Adding carte blance “OR HUMAN POWERED VEHICLE OPERATOR” onto the existing ped rules a, b, and particularly the (new) e has unclear results because the idea of “crossing” a street on a bicycle isn’t defined. If a bicyclist is riding along a street — that’s ok, right? — he is going to “cross” other streets, and not in a crosswalk, nor should he. This should be cleared up by simply extending the R&D of pedestrians to bicyclists; but only when they’re operating as peds — as is done in the suggested language of the UVC, quoted above. (a) No pedestrian OR HUMAN POWERED VEHICLE OPERATOR shall cross the roadway within the central business district other than within a marked or unmarked crosswalk. (b) Every pedestrian OR HUMAN POWERED VEHICLE OPERATOR crossing a roadway outside of the central business district at any point other than within a marked or unmarked crosswalk shall yield the right-of-way to all vehicles upon the roadway. (c) No pedestrian OR HUMAN POWERED VEHICLE OPERATOR shall cross a roadway where signs or traffic control signals prohibit such crossing. p.s. What is a “play street”? ; it needs to be defined. So best to address this by extending the R&D to sidewalk cyclists in some fashion (see issue #0 and 1); at which point this section could just go back to what it was in existing code. Issue #3 Tempe shouldn’t have an AFRAP code! 4) IF THE LANE IN WHICH THE PERSON IS OPERATING THE BICYCLE, ELECTRIC BICYCLE, OR NON-HUMAN POWERED VEHICLE IS TOO NARROW TO TRAVEL SAFELY SIDE BY SIDE WITH ANOTHER BICYCLE, ELECTRIC BICYCLE OR NONHUMAN POWERED VEHICLE. UPDATE: it turns out the language in the proposal was borrowed from the, now removed, motorized play vehicle codes (it’s existing 19-24a). It made some sense when there were motorized play vehicles (because they didn’t have the R&D of bicycles); but it’s still the case that Tempe didn’t have and doesn’t need their own custom AFRAP law for bicycles. “except under the following” should be “except under any of the following” as it is in ARS. 4. 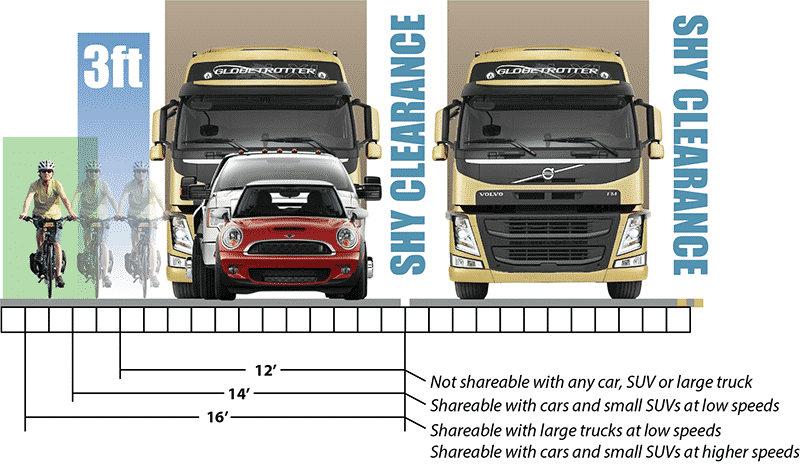 If the lane in which the person is operating the bicycle, ELECTRIC BICYCLE, OR NON-HUMAN POWERED VEHICLE is too narrow for a bicycle and a vehicle to travel safely side by side within the lane. Number 4 — as written in the proposal — would in effect remove the narrow lane exception; the narrow lane exception is arguably the most important exception. As a bit of cautionary tale; the city of Flagstaff in 2012 tampered with the AFRAP law; omitting the word ‘safely’ from the narrow lane exception. No one there has ever answered or explained why this was done; nor have they made any attempt to correct of fix it. The result is cyclists in narrow lanes in Flagstaff are in a worse position. Issue #4 What happened to Class 3 ebikes? There’s also one hanging reference to the phrase LMV; it’s in the def’n of NHPV. ANSWER: an ebike faster than 20mph, e.g. a class 3 per ARS definitions, would fall under the umbrella of NHPV. I guess that’s okay. This might be a problem/issue; i’m not sure if Class 1/2 ebikes typically have a speedometer(?). If the top (assisted) speed is only 20, is that really an issue? I don’t have any problem with helmets, in fact I often wear one while bicyclist. However, I am generally against compulsory helmet requirements; for a variety of reasons (e.g. they are known to decrease participation rates; claims of protection are often over-stated), but as a practical matter they are rarely enforced, so that when they are it’s hard to avoid the appearance of selective enforcement. Parents can enforce it themselves as they see fit. And, again, as a practical matter I have no idea how age-based laws are able to be enforced; will police be doing sweeps through neighborhoods looking for kids riding around their driveways? Before enacting, I would want to know more about how the rule, which exists in only a few jurisdictions in Arizona, is handled, and how it’s working in reality. It would also be enlightening to have a look at reported crashes; for example, there were a grand total of 6 crashes involving a bicyclist below age 18 in 9 years that resulted in an incapacitating injury (and thankfully zero fatalities); and at least one of these was known to be wearing a helmet (accurate reporting of bicyclist helmet usage is, oddly, not required/undefined on AZ crash forms). That’s 6 out of 113 KSI (killed or seriously injured) over that time period. If it’s going to go into the final ordinance, at least make a disclaimer to the effect that a violation of this section cannot be used to establish liability. (so that when e.g. a driver runs a red light and hits an unhelmeted rider, the driver cannot claim it’s the rider’s fault). This appears to be a miscommunication/misunderstanding but it’s important enough to highlight. Mandatory facilities use laws are always bad for bicyclists (here’s a summary of why). Arizona does not have any mandatory facilities use law (AZ did have a mandatory sidepath law which was repealed in 1989). note there’s a misspelling BICYLE. I’m still having a hard time processing this subsection but it’s NOT a mandatory BL law. Where did they come up with 25 or higher? As far as I know, there are NO posted speed limits below 25 anywhere in Tempe (other than active school zones for elementary/middle school). And why is this section needed because I don’t see any other sidewalk prohibitions, except for the as-posted provision in 19-212(A)? I’m still worried about NHPV (think: stroller or wagon). #1 – A couple of places, the new language says “MPH”, and everywhere else it says “miles per hour”. Pick one and stick with it. #2- sidewalk is defined but I see no definition of ‘shared use path’, ‘shared path’, ‘multi-use path’ or ‘bicycle path’. Worse yet, these four all seem to used indiscriminately / interchangeably. If they’re really the same pick one (or two or whatever you need), define it, and be consistent. Here’s a handy list of definitions from other documented sources. But that means they are allowed on paths? Is that ok? Issue #X Are HPVs (other than bikes; e.g. strollers) banned from some sidewalks? This is apparently not a problem/true; as HPVs are not granted the R&D of bicyclists, correct? I don’t have this clear in my mind, but if an HPV has to follow bicycle rules; that would mean that, e.g. strollers, wagons, kid’s things with wheels wouldn’t be permitted on sidewalks where bicycles are banned (e.g. Mill Ave, under RR tracks on McClintock.